Things to know: you can stop the crystallized ginger sticking to your knife if you give it (the knife, not the ginger) a blast of cooking spray. A microplane zesting tool will give you the best result for grating the root ginger, otherwise use the fine eyes of a box grater. Make sure your butter is at room temperature, it’ll cream up a lot easier. Give yourself plenty of time for this recipe, the dough needs frequent chilling. Sieve all the dry ingredients together in a bowl, include the bran from the whole-wheat flour that remains in the sieve. Use a mixer to cream the butter and sugar together until light and fluffy. Add the crystallized ginger and root ginger and beat until its evenly incorporated into the butter. Lay a sheet of non-stick baking paper on your bench, take enough dough to form a log 8″ long, about 2″ around and center it on the paper, cover with another sheet of baking paper and roll out to 1/4″ thickness. Try to keep the dough even; rolling pin guides are helpful for this job. Carefully lay the paper and dough sandwich on a baking sheet and chill until the dough is very firm, at least 30 minutes, (or you can freeze the sheets of dough at this point.) Repeat this with the remaining dough, stacking the sheets on top of each other. Peel the top layer of paper loose, lay it back in place and flip the stiff, chilled dough over and peel off and discard this paper. Dip a round cutter into flour and cut the cookies as close together as possible. I used a scalloped cutter and added a border of holes, in homage to the Miette style, using a wooden skewer to make the pattern. The scraps can be gently gathered together and rerolled, then chilled. If the dough becomes too soft to cut and lift off the paper, return to the fridge and re-chill. Transfer the cut-outs to a baking sheet lined with baking paper, sprinkle generously with sugar, then bake for 10-12 minutes until very brown. Cool on a wire rack, and try not to eat the whole batch at once. They will keep well for a week or more in an airtight container. I can’t wait to get a bit of time together, hunt down the ingredients I don’t have, and make these amazing cookies! Your measurements are off 🙂 For example, 300gm is 10.5oz, not 10 etc. And yes, as I’ve found out with other recipes in this otherwise well presented book, it does make a difference. You didn’t put what your 150gm was. I can tell you – it’s 5oz. All baking books should include the international measurement system which also happens to be the international system for bakers. This one doesn’t and it makes cooking for those in Britain and Australia/NZ an absolute nightmare because, even our cups and tablespoons are not the same equivalency in the US. Other than this glaring omission, there are also some (albeit minor) inconsistencies in some of the recipes but I put that down to the publishers perhaps moreso than the author. All that aside, it’s a very pretty book backed by a very sensible philosophy. But for $45 which is what I paid for it here in Australia, I expected a lot, lot more. I agree about conversion systems. Personally i prefer everything in grams and with American’s it seems everything is sticks and cups and ounces and basically a nightmare. I tried this recipe on thursday and baked it on Friday. I omitted the treacle and candy ginger. We don’t get those ingredients where i live (Nepal) nor molasses so any recommendation for replacements? 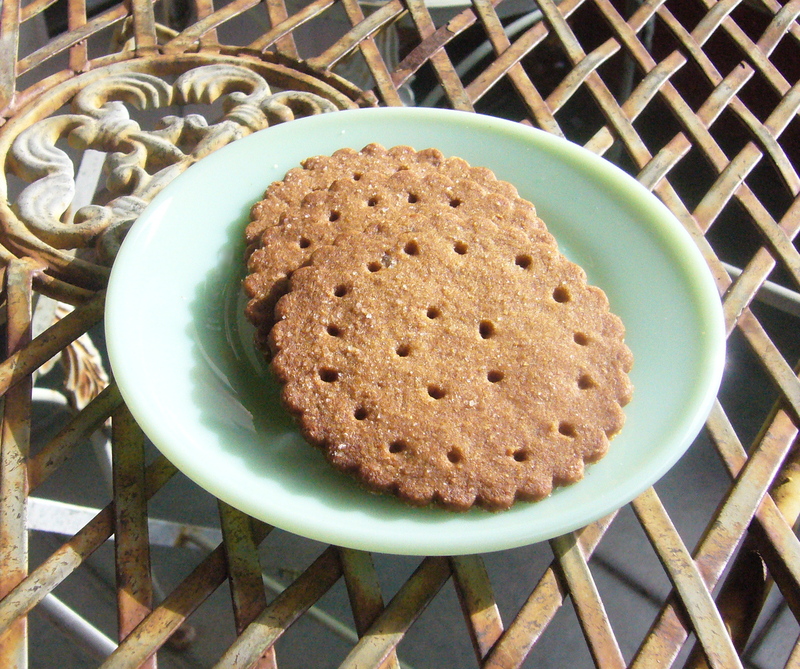 The verdict is that i loved the intense flavor of these cookies especially with the changing colder weather coming in. But my cookies seriously lack the so called snap. I will definitely make these again keeping your suggestions in mind. Oh of cause i love the book and look forward to trying a lot of the other recipes. 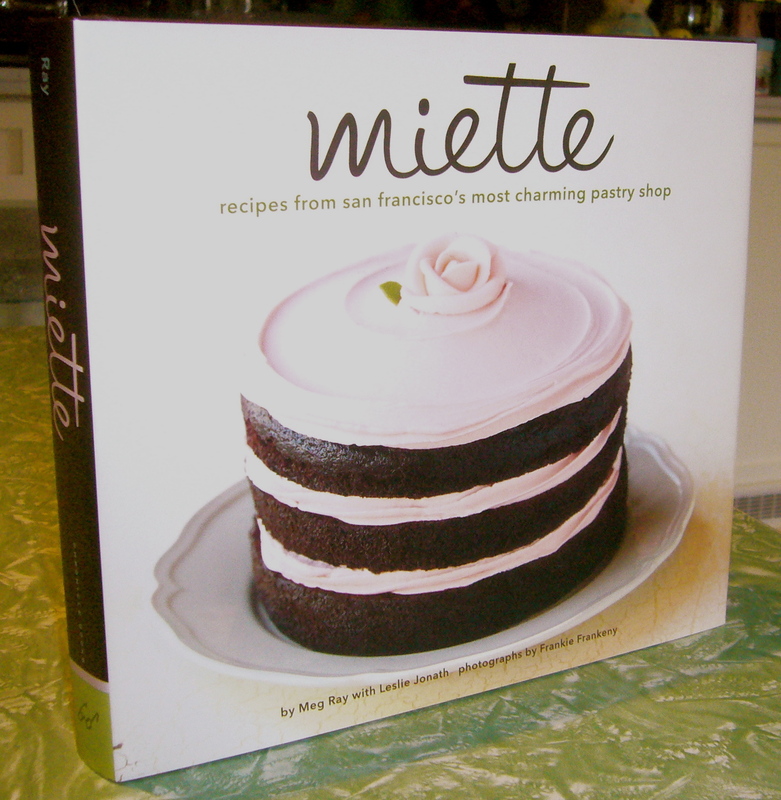 I found your blog through a google search of “Miette Ginger Cookies”. I am hoping to make a Kransekake Star Cookie Christmas Tree with ginger cookies as I think they taste better than sugar cookies. 1. You mention: “a little tinkering, and another round of baking, and there they were, the gingersnaps of my dreams”. Is the “tinkering” included in this recipe? Any advice for NOT getting the cookie to crack on the top? 2. Should I be following the measurements in grams (not your oz conversions) per Leah above? 3. Did Amazon send you an updated version? I read several reviews and many mentioned the mistakes in the book but I didn’t know if the updated version had come out yet. Many Thanks for posting. Your cookies do look beautiful! In the instructions you never told us when to add the treacle or honey, I put it with the butter step.